Yesterday I posted a picture of the view looking north from the Campanile observation floor. It means I have three more directions and what’s the use of showing you only one? So here is the view to the west. 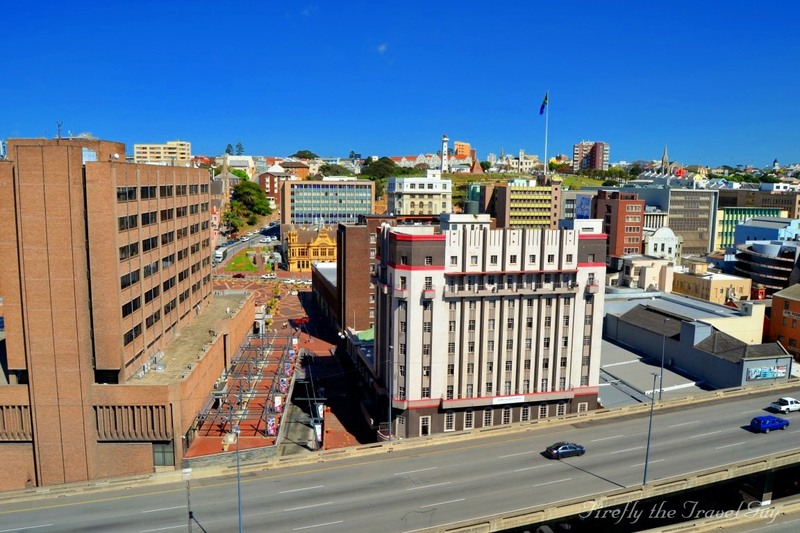 The Settlers Freeway is at the bottom and slightly to the left of the centre of the picture is Market Square and the historic Public Library in the city centre. Above on the hill is the Donkin Reserve, lighthouse and pyramid with the Great Flag (65m high pole and 15m x 10m flag) next to it.